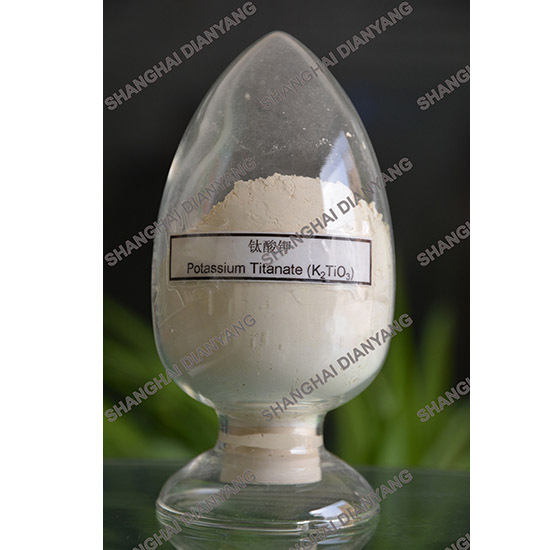 Potassium Titanate is a new type of additive for electrode which lowers Arc voltage, stabilizes Arc, reduces spatter and generates find welding seam. Potassium Titanate is a new type of additive for electrode which lowers Arc voltage, stabilizes Arc, reduces spatter and generates find welding seam. With special technology, Shanghai Dianyang has resolved moisture absorption which has superior specification to other local producers. Potassium titanium Oxide is widely used in flux-cored wire, stainless steel electrode and low hydrogen electrode, AC&DC welding electrode. K2TiO3 is also one kind of excellent friction material and widely used in brake disc & plastic modification. 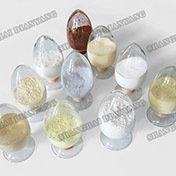 Shanghai Dian Yang use special technology to solve the problem of easy to absorb moisture thoroughly and the main properties of that our products are better than similar products at home and abroad.